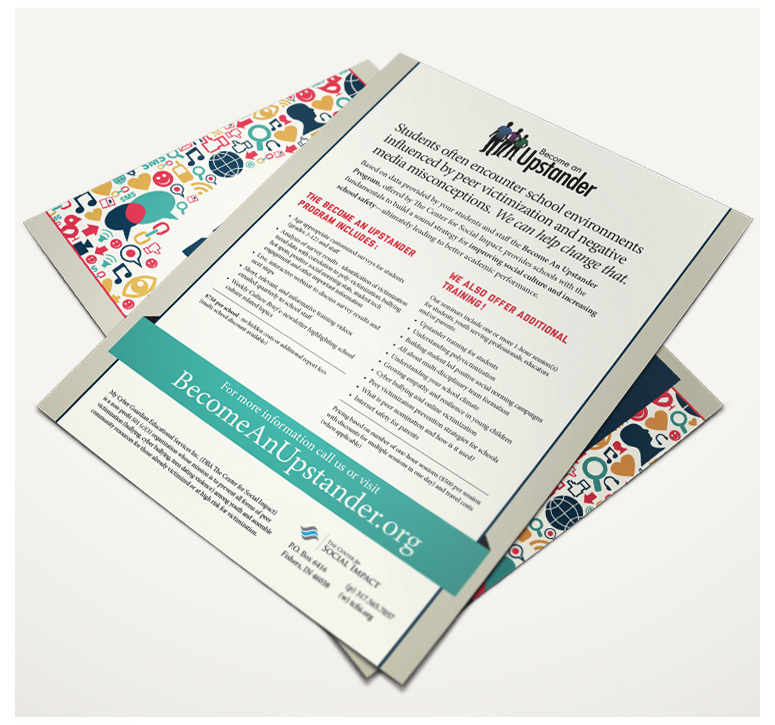 I created this flyer to help promote the work being done in local schools by The Center for Social Impact. Their mission is to raise awareness on the stigmas of standing up to bullying and not giving into peer pressure. Research indicates most students think it’s the right thing to do, but most also feel they are alone in those beliefs. 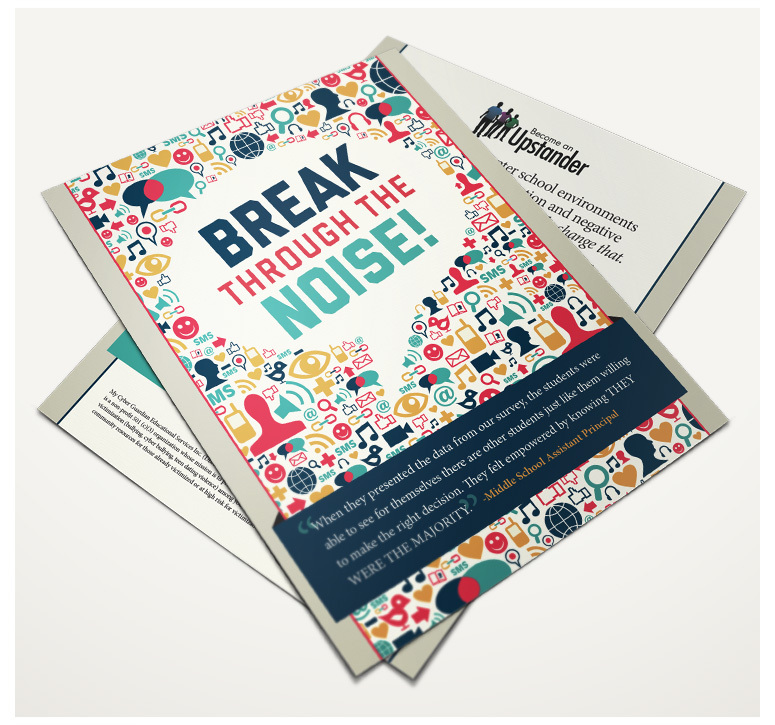 The idea of breaking through the noise helps to give a clear message around these topics.